Looking for a blocked drain specialist with years of experience? Newman Plumbing has been servicing the eastern suburbs of Melbourne for over 30 years. Melbourne blocked drains can be caused by many factors such as tree roots in drains, sludge, grease buildup, cracked, bellied or collapsed pipes are just a few of the causes of drains overflowing. Our Blocked Drain Pipe Specialists can clear most Melbourne blocked drains. a long time to drain away, outside grates overflowing. When a toilet, sink or shower becomes slow to drain, or regularly blocks, then it is time to take action. If you are repeatably grabbing the plunger to unblock your drain, or spent a small fortune on drain cleaning chemicals then it’s probably time to think about a more effective and permanent solution. Early detection and professional maintenance is the key to keeping your plumbing costs down and preventing major drainage problems. If you notice any of these problems around your home, chances are you will need Newman Plumbing and their expert solutions to Melbourne blocked drains. We have helped hundreds of satisfied and happy clients with their blocked drains and waste pipes over many years. Newman Plumbing uses sophisticated diagnostic techniques and the most effective drain clearing solutions. Our experienced and trained Melbourne plumbers will access each individual job. The latest drain cleaning equipment is on hand to provide a solution. A high pressure water jet will send a burst of water into your pipes. 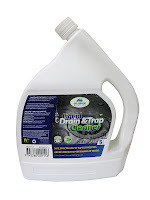 This flushes out the drain pipes by pulverising tree root growth, breaking up sludge and grease buildup within drains. We then use drain CCTV camera technology to investigate what’s causing your blockage. The camera can view up to 60 meters downstream to see exactly what is happening within your drains. The camera is able to see if there is tree roots in the drain and if this is the cause of blockages, or if there is a cracked or broken drain. The blocked drain is properly cleared by our latest drain cleaning equipment, the drains are flushed to once again provide good flow. Our professional approach and communication will advise you at all stages of the job with how things are progressing! With tree roots in older earthenware sewer pipes a common problem. Newman Plumbing has the solution as we are a licensed Sanafoam Vaporooter applicator. We can advise you of our maintenance programs with the application of Sanafoam Vaporooter to prevent further tree root invasion. Newman Plumbing also provides user friendly products for maintaining sewer, waste pipes and also septic tank systems. These drainage and cleaning products assist with drainage smells and preventative maintenance solutions. Times have changed where we can take the guess work out of drainage problems. A professional approach can prevent excavation and pulling up expensive concrete driveways and paths, not to mention the established landscaping! These solutions with investigation, drain cleaning techniques and preventative solutions are guaranteed to save you both time and money.